Add the AirForce shoulder stock to your TalonP air bottle to extend the trigger pull distance from 1/4 to 4-3/4 inches. The shoulder stock make changing your pistol to a very respectable carbine sized rifle and make the use of a standard scope a great option for your TalonP pistol. Each compressor will be shipped via UPS. This product does not ship free with a gun purchase. Approx shipping is $96.00. This is the standard 10 shot magazine supplied with the Broock Compatto rifles. This is the standard 10 shot magazine supplied with the Brocock Compatto rifles. A set of two "feet" to cradle your carbon fiber tank. Slip these feet on your tank to keep it from rolling. This product is made to fit the 88 cu. ft carbon fiber tank. It is not made to fit smaller carbon fiber tanks. This carbon fiber tank has a volume of 14 cu. 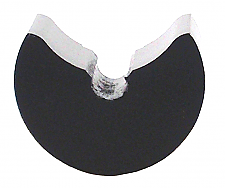 ft. and will provide a PCP shooter with a several fills before needing recharging. It's a practical addition to shooters who need portable air or a compact backup air supply. With an empty weight of approximately 5 pounds, length of 14 inches and a fill pressure of 4500 psi refilling your gun in the field is at your finger tips. Includes Jubilee valve, hose, quick connect female and dead head plug. 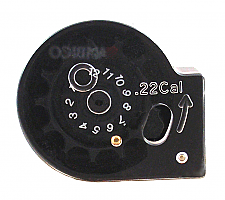 5 shot magazine for .30 Daystate air rifle. Magazine for the .177 caliber Impact. This is a 18 shot self indexing magazine for the FX Impact. Magazine for the .22 caliber Impact. This is a 18 shot self indexing magazine for the FX Impact. Magazine for the .25 caliber Impact. This is a 16 shot self indexing magazine for the FX Impact. Magazine for the .30 caliber Impact. This is a 14 shot self indexing magazine for the FX Impact. Short picatinny rail designed to be mounted on the underside the FX Wildcat. This rail is ideal for attaching a bi-pod, laser or light system. Does not come with attachment screws. We have been looking for a night vision system that was affordable, friendly and effective. We have found such a system in the NiteSite products. The Viper is a simple add-on for your existing rifle. The NiteSite system does not require you to remove your scope resight your rifle or make any changes to your current setup. Simply attach the screen, battery pack and viewer to your scope and you are ready to shoot. Short range scope mounted night vision system The NiteSite VIPER™ is a patented night vision system for hunting in zero light. It converts your day scope (there’s no need to remove it) into a powerful night vision system that is quick and simple to set up. NiteSite utilizes infrared in a unique way making it more affordable, reliable and user friendly than traditional light amplification technologies. The VIPER™ is for the hunter who wants a product without limitations. Quick and easy to fit to any day scope The true beauty of a NiteSite is that it converts any day scope (there’s no need to remove it) into a powerful night vision system that is quick and simple to set up. Indeed, from opening the carry case to hunt ready status takes just 60 seconds once you are familiar with the set up. All NiteSites are equipped with adaptable fittings that enable mounting onto virtually any make and size of scope and there is no need to re-zero or adjust your scope in any way. Just mount the unit, switch on and you’re ready to shoot. Simple as that. Air Arms has produced several videos of the S510 equipped with the NiteSite on pest control hunts. Give them a look and see what the S510 and the NiteSite combo can achieve. - Rats and Pigeons, Rabbits. 1 x 24 month guarantee card. Switch from one gun to another with no tools. If you own more than one PCP you know what a hassle it is to change from one charging adapter to another. The Quick Connect system allows a shooter to switch from charging one gun to another without scrambling for a wrench. The Quick Connecton system consists of two primary pieces. The Foster female connector and the male connector. 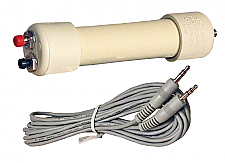 The female connector attaches directly onto your compressor, handpump or scuba adapter hose. The male connector screws onto the gun's probe, collar, special adapter or other filler device. The male and female connectors are then easily connected and disconnected. Excellent choice for a versital bipod. Designed for use with a picitanny rail or stud swivel mount. Great choice for R.A.W. and FX rifles or any pcp rifle. • Center Height Adjustable From 6.7" to 9.1"
Every airgun shooter knows that even the heaviest pellets don't weigh very much and are easily affected by the wind. So it's very important to know how fast the wind is blowing so a shooter can adjust to the shooting conditions. But wind speed is seldom one set speed. It blows, gusts and dies down continually. Now there is a tool to help master those wind conditions. 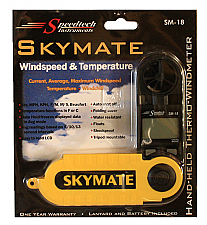 The small pocket-size Skymate quickly measures current, average and maximum wind speed as well as the temperature and even wind chill. And it does it in seconds. You can hold it in your hand or mount it on a tripod and don't worry if you drop it. It is shockproof and it floats too. It features a folding cover and shuts off automatically if you forget to do so. It also measures all these factors in MPH, KPH, F/M, M/S or Beaufort modes. Take your pick...it does it all! This is a must-have tool for any serious airgunner.